As I sit here to write this post, I realize how hard it really will be. These are my thoughts, my emotions and right now they are safe. They are safe from criticism, judgment, stares, whispers, finger pointing, grieving, apologies and guilt. I want to write this for many reasons, but the main reason is to help people understand who we really are. For all of my peers in the special needs community, I think of you every minute of every day, I love you and you inspire me. This post is not about recognition for what we do, this is to help you (our friends, family, co-workers, therapist, teachers and doctors) understand who we REALLY are. Why we did not call you back, why we forgot your birthday, why we showed up late for your event, why we just could not stop to say "hi", why we really had to cut you off mid sentence, why our hair is not always fixed or makeup on, why we always look disorganized, why we asked you for help, why you saw us holding back tears, why we really don't sweat the small stuff, and why you saw us smiling and laughing for no apparent reason. These are not to be considered excuses, because we try, believe me we really really do try not to let our world interfere with your world. First of all, WE MISS YOU...we miss you beyond measure. It is incredibly difficult to put in to words how much we miss you. We either miss you because you stopped coming around or we miss you because we are always out of time. Second, we are strong but we are weak. Today we can climb a mountain but tomorrow we will spend hours trying to get over a speed bump. There will be days that we have worked all day teaching our child to do the most miniscule task, only to fail and try again tomorrow. Then, just when we feel our prayers are going unanswered, we are feeling defeated, and we just don't know if we can stand in front of a light switch and say "on and off" or "up and down" over and over again all day that day....they do it. They do it all by themselves. We are on top of the world, not because of what they did but because they learned. Thank God they learned, and we taught them how to do one more thing. We rarely cry because we are always looking for a solution. We rarely cry because we know we can tackle what ever is thrown our way. When we do cry though, hear us and hold us, our heart truly is broken...but I promise you we will recover, we will stand strong, we are simply sad in that moment and we need to get it out. Third, we are tired but we will never say it out loud. Here is what our therapy month really looks like behind closed doors. Physical Therapy times 8+, Occupational Therapy times 8+, Speech Therapy times 8+, Hippotherapy times 4+, 125 Vision therapy exercises, 55 Oral Motor Therapy exercises, 30+ Sessions of Flashcards, 200+ Reading exercises, 45 sessions to help support fine motor, 40 math sessions, 500 + processing activities and 40 sessions of music therapy. Now the reason we don't complain...we know how hard our child works. Our checklist is a cake walk considering what they have to do to learn. Fourth, we really have researched it over and over and over. We make decisions for special diets, special vitamins, special supplements based on our research and based on our child's behavior. Our decisions are based on what our special needs child can or can not handle. Emma really can not handle a lot of things. She really can not process things, her body really does not work like our typical children's bodies. 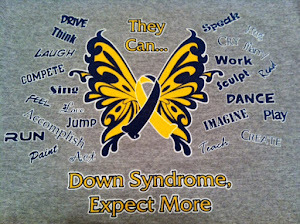 Believe me it would be a lot easier to do it the "typical" way, but it is not what is best for our special needs child. She needs her DHA, probiotics, enzymes, specially designed multi-vitamin and the rest of the long list of supplements. She can not handle dairy, she can not handle gluten, she can not handle dyes. She can not break down processed foods, she can not handle added hormones, antibodies and pesticides. She can not handle most medications and go ahead and brace yourself...she can not handle most vaccinations. Fifth, yes we really do know our child better than the doctors. Physicians are trained to treat typical kids, they are not taught to treat my special needs child. This is not their fault, I do not expect them to do all the research for my child. We are blessed with an amazing genetics clinic and we have some very smart physicians that understand Down syndrome and how gene mutation works and what it does to the body. When we have to go toe to toe with a physician to get what our child deserves, it is because we are the only voice that our child has. We hate the words, "that is typical for Down syndrome" because we know that what is "typical" is not, it has simply become acceptable for most. Doctors do not see our child all the time, they do not see the mottled skin, the constipation, the dry skin and hair, the brittle nails, the irritability and the hour to hour changes with our children. We know her body inside and out. We monitor her CBC, Iron, Vitamin A, D, C, B12, Folate, Zinc, Selenium, Copper, Iodine, Sodium, Calcium, Creatine, TSH, FT3, FT4, RT3, Homocystine, Lipid Panel, GABA, Glutamate, Dopamine, Cortisol levels and all of the other labs that we have so neatly charted on a spreadsheet that dates back to her birth. We will travel to different states and Skype with doctors and therapist to get the answers and guidance that we need. We have searched and searched for the best, not the best for typical kids but the best for our special needs child. We have spent endless hours building a team for our child, not just any team but a damn good team I must say. To put it in perspective, consider someone telling you that your child is sick and there is nothing they or you can do to help them. Do you leave them in a corner and allow the sickness to penetrate their body and soul day in and day out, or do you search and search until someone helps you treat them? We will turn over every stone and look around every corner and ask every question to find a solution. Sixth, we look at things completely different than you. We have to be hypersensitive to noise, texture, smell, taste, light, and many other things. We know what concerns our child, we know what makes her scared, we know what is unhealthy for her brain. You see my child twirling, tapping, staring and rocking and think nothing, while we know our child is stimming and attempting to go "inside" herself. You see a child running up and down a hall, I see a child stimming on the lines or patterns that make up the wallpaper. You see a child singing a repetitive sound and I hear a child getting unhealthy audio input. You see our child running around having fun, I see a child fixating on a power outlet every time she passes it. You see a child swinging and having fun, I see a child getting too much unhealthy peripheral input to her brain. You see a crossed eye and assume she can't see, we see a muscle that needs to be strengthened. You see a tongue that pops out every so often and we see a sign that more oral motor therapy is needed. You see our child running across the play ground, we see her arms up and wide stance because her core muscles still need so much work and we try to make a mental note that her right foot is turning in again so we need to adjust those shoes. You hear a little voice saying something, we hear words that lack articulation and know that we are working on it. You see a cute pouty lip, we see that her sensory input has reached its boiling point and try to get prepared. You see a child throwing a fit or yelling, I see a child that may have some other problems that I am not aware of. Finally, you see her Down syndrome but we do not. Seventh, she is not typical. We do not wish for her to be typical, we would not change her for the world and we would not take away the Down syndrome if we could. She was designed by God and she is exactly who she is suppose to be. Eighth, our hearts really break daily because so many people just do not get "it". When you are blessed with a special needs child there are a lot of things put into perspective. As harsh as this may seem, this post is about honesty. You find out who your friends are and you find out who your family is, and we have truly been disappointed in both. We have discovered who has real concern, real compassion and who does not. We really do not worry about the small stuff. We hear you complaining because the cashier is too slow, the kids is yelling in the restaurant, the guy got your order wrong, the long line in the store and so many other "wrongs" that you feel there is in the world. We see people that may just be a little slower than us and we are more patient with them. We trust that God has us in traffic and in that long line because he has us exactly where he needs us to be at that moment in time. Now with all that said, I am not angry with the people that I do not have patients with because I know that they are blind to it all just as I use to be. At one time I did not understand how hurtful the "R" word really could be. Three years later, it will stop me in my tracks and hurt me to my core. Ninth, we are not big fans of the term "high functioning". Imagine me walking up to your typical child and referring to them as "high or low functioning". Our kids our doing good because they have worked very hard and we have worked very hard for them to succeed. Typical children do good because they too have worked hard and you have worked hard with and for them. Last, we are humbled daily. We are blessed to have a child to hold, kiss and love. We are blessed to have our child at home and not in the hospital. We keep our thoughts inside because we know that we are one of the lucky ones. We get to leave the hospital, we get to watch our child grow and progress. We do not take for granted the fact that Emma can see, hear, feel, taste, smell, walk, talk, look us in the eyes, love us, eat, express emotion, learn, heal, grow, ask for help, live without daily pain, face minimal testing and procedures. We pray for those that have a hill much steeper than ours. 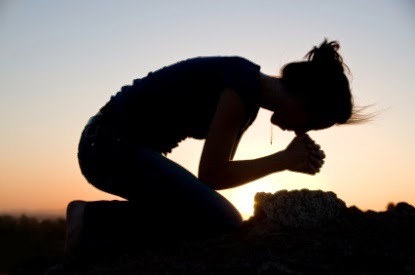 We pray for people that just can not get the answers they are looking for. As I said before, this is not about recognition for what we do, we do not see ourselves much different then the rest of the world of parents. We simply have emotions that are very hard to explain. Some of those are just part of being a parent to any child and some are because we are the parents of Emmalin. O Sweet Lord through the intercession of St. Robert Bellarmine, I ask for your merciful hand to guide me with sacrificial love to raise my beautiful child of light, your perfect creation. Lord, help me to know that Your burden is light and Your yoke is easy as I care for my precious child whose humble soul shines with purity, beauty and the Love of God.